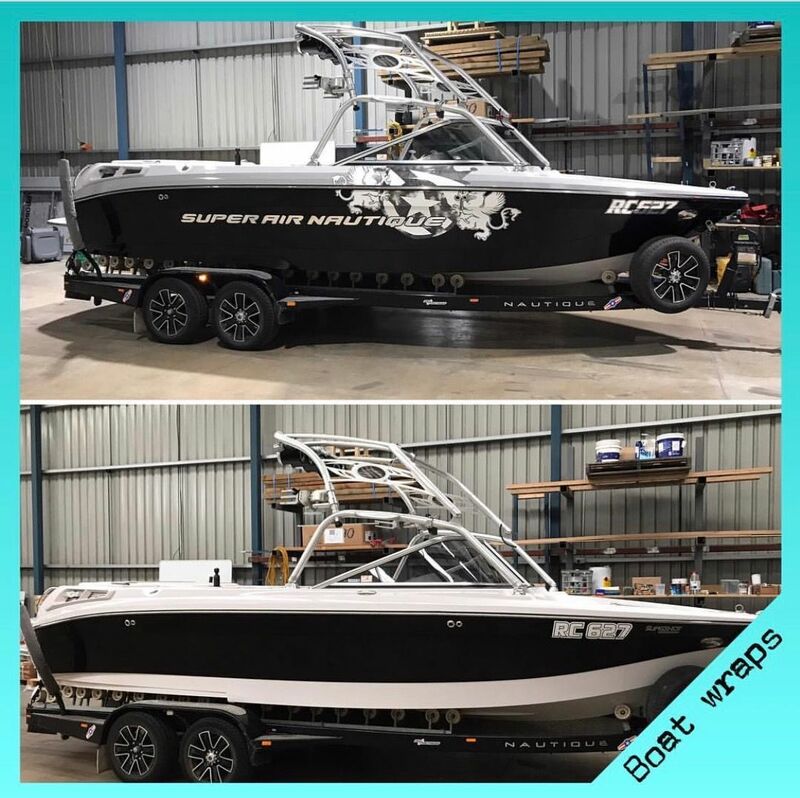 Super Air Nautique is looking "Mint" with a new black hull, grey deck, shield and text. Using quality Avery Supreme, Avery Dinnison and Chrome Vinyl Wrap. This Boat should have no problem turning heads on the water now. For business or individuals selling boats, vehicles, trucks, vans and many others... consider what Mint Signs custom wraps, decals and designs can do to make you stand out from the crowd.